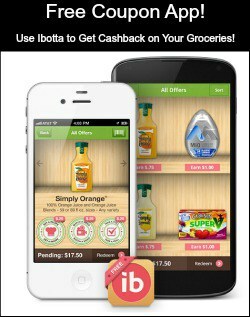 Ibotta is a shopping and cash back app that you can upload to your iPhone or android phone. After you have signed up, Ibotta will show you coupons directly on your phone. No need to print, just buy the items you wish, then redeem the coupons by scanning the receipt with your phone. Ibotta deposits the money from the coupons you redeem in your PayPal account. To use and redeem iBotta coupons go to Ibotta and sign up for an account. 1. Before shopping, choose the offers you are interested in and unlock the rebates. (If you are disorganized, you can also do this in the store while you are shopping). 3. Redeem your cashback reward. 4. Then Ibotta will verify your purchases and credit your account within 24 hours. 4. Get your cash. Once your account has $5.00, you can transfer it to your PayPal account or donate it to any school in America. Ibotta will verify your purchases and send you cash usually within 24 hours. Depending on the store, there are three ways to verify purchases. If the store shows the green Verify Purchases button in the Retailer Gallery, you must scan your barcode and submit your receipt by tapping on the button. Some of the retailers will require you to scan a QR code (Best Buy) or a barcode (Marc's) in order to verify your rebates. Submit Receipts that are less than 7 days old. Make sure that receipts submitted to Ibotta are less than 7 days old. Old receipts will be rejected and can trigger an account deactivation. Of course, we don't want this to happen! Where is the Checklist? You can find your checklist by tapping on Pending in any Ibotta Product Gallery. More Ibotta Awesomeness: Because of the way Ibotta works, you can use Ibotta coupons with other coupons. Use your regular printable, manufacture, store coupons at the time of purchase and then submit your receipt to Ibotta to receive credit for their coupons as well. In addition to the cash back offer we have come to love, Ibotta has started offering Bonus Offers. These bonuses are on top of the cashback offers you receive on particular products. Where else can you use Ibotta? Now you can use Ibotta at some Restaurants! You can find offers for Burger King, Chili's and other restaurants. Check for offers once you upload the app. The more restaurant cash back offers you use, the more that will be unlocked for your usage. 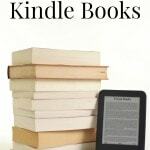 There are have also been offers for the retailers Best Buy, Home Depot and Lowe's. Check the cash back offers to find offers for retail businesses. You can now use Ibotta at some movie theaters! How cool is that? Check the cash back offers to find out how you can earn cash back when you go to the movies. If you haven't already, signup and start earning money with the Ibotta app today! 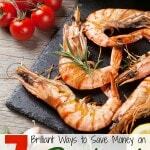 The Favado App – Helps you save up to 70% off your groceries. 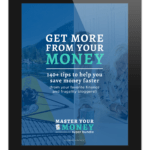 5 Apps that will help you save money on gas. Thanks to Deals from Ms. Do for introducing me to Ibotta! I’m trying to find out how I link my store cards in Ibotta. I’m sure it is easier than I’m making it!